Opa!, originally uploaded by Edward Vielmetti. Marks and Meaning is designed to encourage readers to interact with the book in various ways, and I have been thrilled to see the various ways people have chosen to do that. 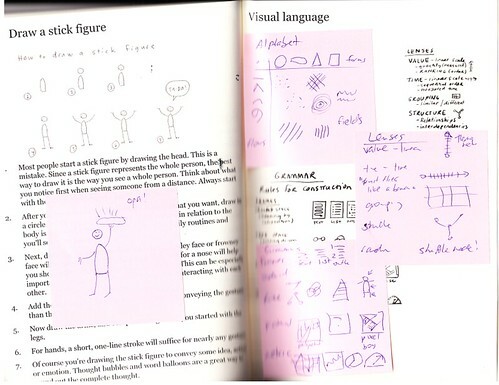 Ed Vielmetti has peppered his copy with sticky notes. The image above is from his copy of version zero. For more images like this check out the Marks and Meaning photo pool.